I currently run a video production company, VisualConcepts.tv, LLC in conjunction with my husband, Mark Nelson, who is a director of photography. I act as account executive, putting together estimates for video shoots and coordinating them. I also manage post-production, working with video editor and motion graphic designers. Since I had studied overseas in Oxford for a year during college (my entire junior year) I was quite obsessed with Britain so I secured a work permit and went back after graduating. I had a neighbor that worked for a publishing company and she had asked me to help edit a grammar textbook for her over that summer. This was 25 years ago, so it didn't require sophisticated computer skills, but I really learned a lot about grammar in the process of editing this book. After this, she also gave me the opportunity to write about five entries for a children's encyclopedia that I could send back from England and get paid as a freelancer. I wrote about topics such as the Commonwealth and the Industrial Revolution. This was a great experience to learn how to write in an easy to understand manner. So though I had this income, the publishing company wasn't paying me much so I sought out an internship. I proceeded to get a paid internship working for a small ad agency with four men who had all worked for the big ad agency J. Walter Thompson. It was not easy. I had interviewed at the many of the ubiquitious London temp agencies and gotten nowhere and I had been to numerous restaurants without a hint of interest from anyone. One of my friends from Oxford told me about a start up ad agency. I got to work under the creative director. He didn't throw much my way, but he did let me give him some ideas and taught me how to sell through copywriting and I also got to watch him design. I also spent time talking with the partner that did the marketing research and he explained how market research was done in places like Africa and other international locations. The other two partners included the technical numbers guy who processed the marketing research data and then the president who was more apt to be dishing out Bloody Marys in the morning and hosting plenty of lengthy client lunches at the Cafe Fleur down the street. I think they wanted to have their agency filled with bright young people because that was what they were used to. However, they had all of their big agency habits, and after 3 months, the stationers came by wanting payment for their letterhead one day and shortly thereafter, my checks started bouncing. So I headed east and became a waitress in Bath, England in a cafe working for Canadians. I finally was able to collect on bounced checks with help from my new employer. This experience and learning to be persistent on getting this payment was one of the most helpful experiences to prepare me for small business. After working as an intern at the Museum of Photographic Arts in San Diego and for a three-person marketing consulting company in San Diego for about six months upon my return, I decided to start doing freelance copywriting and start my own business. I was 23. Over the course of eight years, I wrote sales letters, ads, business plans, wrote and designed brochures, edited manuscripts and enjoyed working with graphic designers. I learned a lot about how to write sales-driven copy that generated results. Then, after meeting my husband, I had the opportunity to work on a video production, so I dove in and read all the books I could on video scriptwriting. With time, he started his own video production business and shortly thereafter we merged our two companies into one. That was 15 years ago and we're still going. We no longer do print work and my writing goes as far as video scripts, proposals, emails, and web content. Some of the summer jobs and internships I had helped shape my direction. My junior year of high school, I worked for San Diego Home & Garden Magazine. I got to work under the copy editor, where I learned to edit, and then spent some time talking with the amazing editor, Peter Jensen. He really helped me learn how you could use the English language to tell a compelling story in a very natural way. He was a great writer, and could take his readers to different places with such ease. Part of the internship enabled me to write a published article. So I learned how to do a photo scout, seeking out homes in San Diego with attractive, well designed game rooms. I learned which homes had the visual interest in order to be featured in the magazine, and then I got to interview different homeowners and sought out the best content for the article, and ultimately wrote a solid article. The time I spent talking with Peter really helped me understand how important his philosophical love of the written word affected the magazine's content and the company's culture. In college, I participated in a lot of intramural sports. I played ultimate Frisbee and tennis at Stanford, and then in England, I participated in Cuppers (the British word for intramurals) rowing, ballroom dance, and swimming and just about any other college sport that I had a change to participate in. Once I returned from England my senior year, I proceeded to organize an Oxford-type ball like they had in England at Oxford University's different colleges. It was no simple task, but we put on a great event in the end and I learned a ton about event planning. Being an English major opens up a lot of possibilities and it's up to you to start cracking open the different doors and peering in to see if there's anything attracting you behind the doors as you consider different career options. Try things out that interest you. Go to a professional association meeting if you want to know more about a particular field. Talk to people working in areas that you are interested in. Offer to take them out for a quick lunch or coffee and see if you share any passions. Read books and blogs about areas that you want to learn more about. Call people up and talk to them and ask them what they do and what they like about their job. Listen and watch those who you admire. I think I learned so much from George Stock, the creative director in England, just by watching him work and listening to him and also from Peter Jensen in the discussions I had with him. Nowadays, I learn a lot listening to my husband explain technical information on camera and lighting gear. This is how you gain direction with a major that is extremely broad. Find out what types of samples you need for your niche or any technical classes you need and then get going and sign up. Also, check back with people you met in the past as you gain new experiences. You never know what new opportunities may open up. 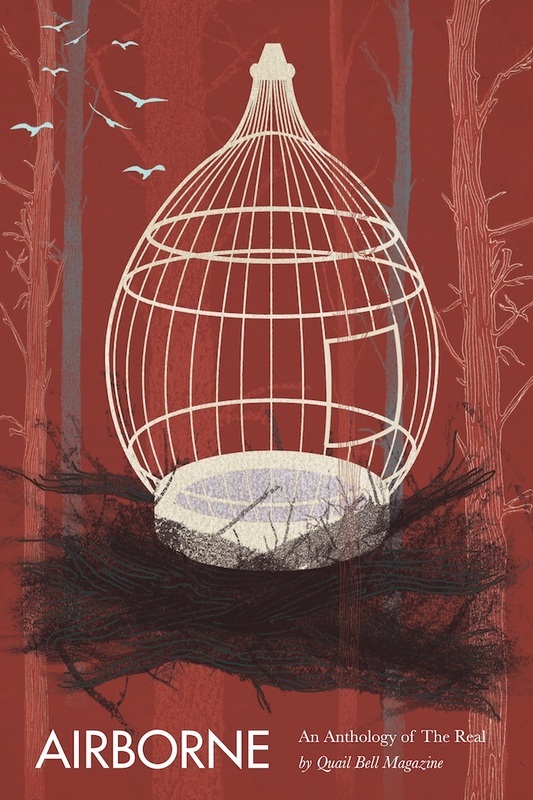 Visit VisualConcepts.tv to learn more about Leslie's work, and take a look at one of their demos! Posted on May 19, 2014 by Alyssa W. Christensen and filed under Communications, Copywriting, Filmmaking, Freelance, Self-Employed, Writing and tagged Film. Simply put: everything and anything. That’s what it takes to make a living as a freelance writer. Someone need a review written? I can do that. Need a product description for a catalogue? Sure, I can do that, too. Every job you get makes it easier to get the next one. Work your way up the ladder. I truly believe the adage: “Do what you have to, so you can do what you want to.” Living that way has taken me some pretty interesting places. For example, I got to tour with one of Randy Jackson’s recording artists on Warped Tour in 2012. I lived on the bus, did a lot of partying and drinking with bands like Yellowcard and New Found Glory, and all I had to do was blog about our adventures. Basically, I got to live the Almost Famous life for 33 days. Now, I live in LA. I work from home, for myself, as a screenwriter. I’ve adapted novels. Done re-writes. Written biopics. I’m still not at the point where I can to do everything I want to do, but I’m still climbing. Still hustling. Because it’s not enough to be a good writer. There are thousands of good writers out there. You have to be a good salesperson, too. You have to sell yourself. What kind of projects have you been working on recently? I recently wrote the synopsis and character one-sheets for actor Matthew Modine's upcoming project, The Rocking Horsemen, which he plans to direct. My original TV pilot, The Edgelands, was highlighed by The Black List this month. The Black List is a list of the top unprodcued screenplays in the industry. Tell us about how you found your first job— what was the process like? After I graduated (and after a drunken conversation on the beach), I moved to LA with a friend of mine who was going to be attending USC’s engineering school. He said to me, “You’ve always wanted to go to Hollywood, right?” A few days later, I signed a lease for an apartment on the other side of the country (in a city I had never been to, mind you) and the job hunt began! I applied for every internship I could think of. Every opening. I lined up six or seven interviews for my first few days in LA, and luckily, I got one. It was with a small film acquisition company in the NBC building. Exciting at first, but the long hours, cold calls, and commission-based pay got old— fast. But they happened to be down the hall from a small development company. I just walked into their offices one day and told the boss, “Look – I went to school to be a writer. Not a telemarketer. I have this script…” He read it, liked it, and hired me as a staff writer to polish some screenplays they had optioned. That job gave me all sorts of insight into the industry. How scripts get made. How they get bought, sold. Turned into movies. I attended premiers. The American Film Market. Eventually, I learned enough to know that I could make more money as a freelancer, jumping from project to project, company to company. And so – here I am. I’ve done a lot of editing over the years (even though I’ve always considered myself a writer first, speller second). A lot of blogging, too. I did both for an energy company that was based out of Singapore. Found the job through a Craigslist ad. That side-job helped pay my bills in between scripts. It’s always important to have a side gig. A lifeline. Can’t put all your eggs in one basket, because what happens then? Someone doesn’t pay on time. You can’t make rent. It’s you who winds up getting evicted— not them. You know how they say college isn’t for everyone? I always felt like that. I didn’t need college, I thought. I hated going to class. Hated taking classes I didn’t care about. But I stuck with it. Got my degree. And thank God I did. I had a brief internship in New York City working for New Line Cinema in the Merchandising Department when I was a sophomore. It was a good learning experience – got to sit in on a few product integration meetings, plus I got a lot of free stuff – but what I learned most was that the “9-5, commute to the city job” wasn’t for me. I just wasn’t happy. 12-hour days. Filing. Half-hour lunch breaks. Groan. I quit after a month or so. The lesson? If you aren’t sure what you want to do with your life, keep crossing things off the list until you find it. For me, it was screenwriting. Always loved movies. Loved writing short stories. But it wasn’t until I opened my college newspaper one day and read an article about a one-week student film competition that I put it all together. They gave me a camera, Macbook Pro, final cut, tripod – you name it. My friends and I spent the next week skipping class and staying up all night working on our film. I loved every second of it. Even the painful ones. For the first time, I loved the process of something. We made the top 10 that year. I dropped every education class I had (I was going to be an English teacher) and enrolled in every film and screenwriting class I could. The next year, I had two films in the top 10. Year after that, I was in LA. Things move quickly once you’re inspired. In the meantime, just keep crossing careers off your list. My advice would be this: never settle for anything in life. Don’t just become a teacher because you’re not sure what else to do with your expensive education. No, I don’t make a lot of money, and yes, some months are more stressful than others – but you know what? I’m my own boss. I love the hustle. And I haven’t woken up to an alarm clock since I graduated. That, to me, is true happiness. So whether you’re reading this and you’re in a good mood, or you’re depressed because all your friends seem to have their futures so “figured out,” remember this – the people who think they’ve reached the end of the line in their twenties are usually the ones who’ll have a mid-life crises. So keep searching for that dream job. Learn to take “no” and move on. Successful people are built on the rejection of others. Posted on April 9, 2014 by Alyssa W. Christensen and filed under Writing, Self-Employed, Freelance, Blogging, Filmmaking, Screenwriting and tagged Film. College & Majors/Minors: Virginia Commonwealth University, School of the Arts (VCUarts)—Film B.A., English/Creative Writing B.A., Product Innovation Certificate, and minors in French, Spanish, and European Studies. Current Location: I go between Greater Washington and Richmond, VA, but I also travel frequently, depending on where work takes me. I am very lucky to write and make films. Most recently, I co-wrote the book Images of America: Richmond Cemeteries (Arcadia Publishing) with Misty Thomas. 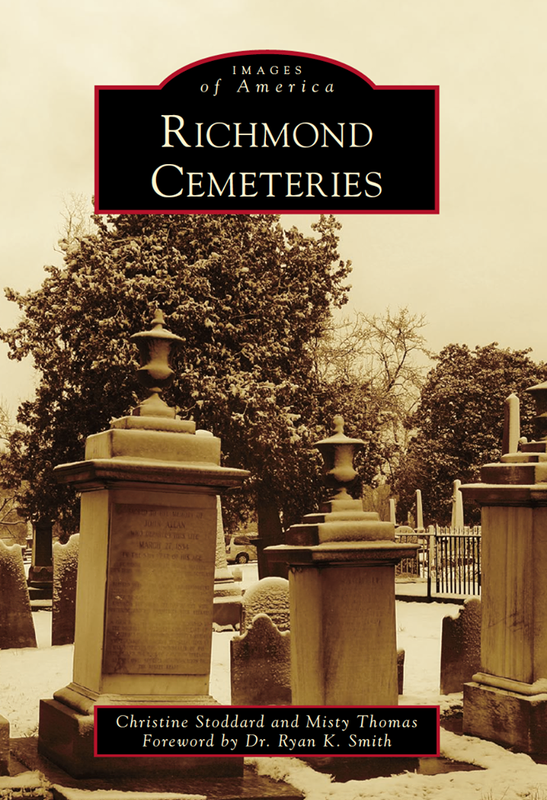 The book has a companion documentary that I am directing called Richmond's Dead and Buried. Richmond's Dead and Buried centers on the stories of Richmond's cemeteries, including a developer's controversial proposal to build a baseball stadium over a slave burial ground. The documentary will be released later this year. While at VCUarts, I studied under experimental filmmaker Mary Beth Reed, a student of Stan Brakhage, and have since become fascinated with the process of experimental stop-motion animation in particular. This spring, I will be showcasing some of my animations and experimental shorts at the New York Transit Museum in Manhattan and the Edgar Allan Poe Museum in Richmond. Many of my writing and film projects fall under what I call the Quail Bell umbrella, after Quail Bell Press & Productions. That is the arts, communications, and media production firm I run with Kristen Rebelo, an illustrative graphic designer. We work directly with clients and also creative original projects. One such project is Quail Bell Magazine. That is our fairy punk magazine dedicated to the imaginary, the nostalgic, and the otherworldly. I am the editor and Kristen is the art director. Previously, I have done work for the Smithsonian Latino Center, WashingtonPost.com, WETA-PBS of Greater Washington, Teatro de la Luna, Virginia Living Magazine, Maryland Women's Journal, Washington Life Magazine, and others. I am also a proud AmeriCorps alumna. I guess you could say that my first job was as a freelancer writer and collagist. I've been getting paid to do what I love for a while now, thanks to hard work and a network of great mentors. In high school, I wrote for different online clients, especially AssociatedContent.com. I also won poetry, playwriting, and essay-writing contests with cash prizes. Every once in a while, I made illustrative collages for 'zines and private clients, too. Those collages became the basis for the animation work I do now. I tutored regularly, as well: Spanish, French, and English composition. That tutoring experience became very handy later on when I applied for AmeriCorps and eventually a contract position at Writopia Lab. My first big break came when I was 16. 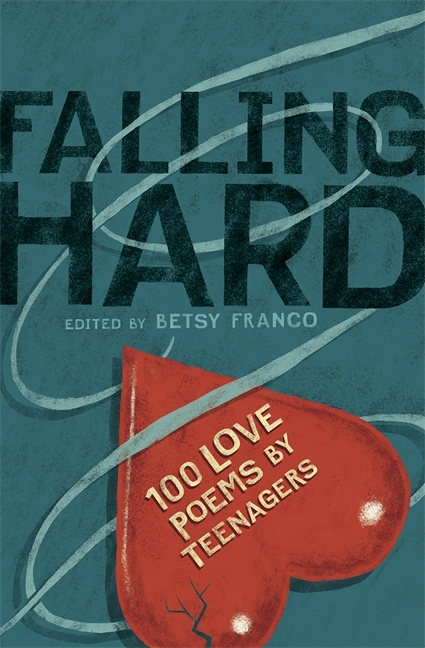 Editor Betsy Franco selected my poem for publication in her book Falling Hard: Love Poems by Teenagers (Candlewick Press). And what do you know? 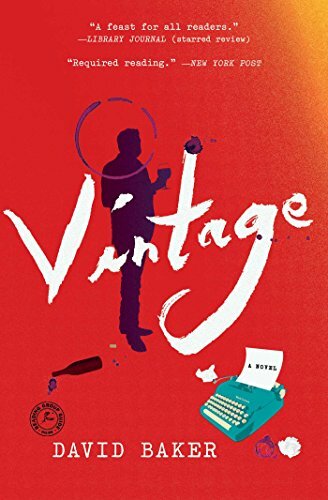 The New York Times gave the book a positive review. These early opportunities and accomplishments formed the basis for a successful freelance career. Definitely anything I've done related to film and television production because it's helped inform my written stories. But also teaching. As an AmeriCorps volunteer, I served at a Title I elementary school my last year of college. Everyone—even the smallest of children—has stories, and these stories matter. I chose what I wanted and I pursued it. I knew that I wanted to keep writing and get into filmmaking, so I thought strategically about how I could achieve such things. I actively freelanced, interned, contributed to university media, and sniffed out undergraduate research and travel grants. The library, the student media center, and the editing studio were my on-campus havens. I also did an independent study two semesters in a row with the aforementioned Mary Beth Reed. That being said, I was also selective. I generally knew when to say no. I tried to participate in activities I knew would be genuinely worthwhile. Take an academically rigorous workload, but balance those courses with professional experiences that will build your real-world skills. Read and read a lot—just don't end there. Start engaging with your campus and your community your freshman year. You'll regret waiting until the semester you graduate. Sometimes you'll have to make the hard choice of doing what you have to do versus what you want to do. Baking Club might be fun, but unless you want to become a food writer, your time might be better spent on the library committee or on staff at the school paper. If you have to work to pay for school (and the reality is that most students do), try to take work that will lead to the sort of opportunities you want after graduation. If you want to teach English in a foreign country, for instance, get teaching experience now. Tutor in the campus writing center or at the neighborhood elementary school. If you want to get into publishing, see if a faculty member or local author will pay for proofreading, clerical tasks, or social media promotion. Be resourceful and don't be afraid to ask your professors for guidance. Most of them want to help. You just have to take the initiative. You'll find that some of them won't let you give up! When you're taking 18 credits and wondering how you're going to pay your expenses one semester, that encouragement will fuel you. Treasure that encouragement because if you think school is hard, the real world is harder. Posted on March 10, 2014 by Alyssa W. Christensen and filed under Blogging, Communications, Freelance, Publishing, Self-Employed, Teaching, Writing, Filmmaking and tagged Writing Film.